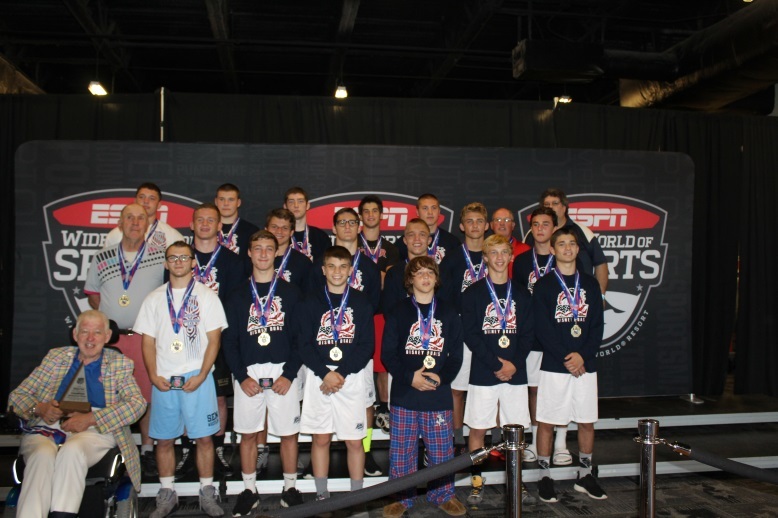 Front Row (L to R): 98-Dillon Murphy, Stroudsburg HS; 106-Luke Lucerne, Council Rock North HS; 106-Dylan Moore, Ply-Whitemarsh HS, 113-Jagger Condomitti, Northampton HS; 120-Cole Handlovic, Bethlehem Catholic HS; 126-Ryan Anderson, Bethlehem Catholic HS. 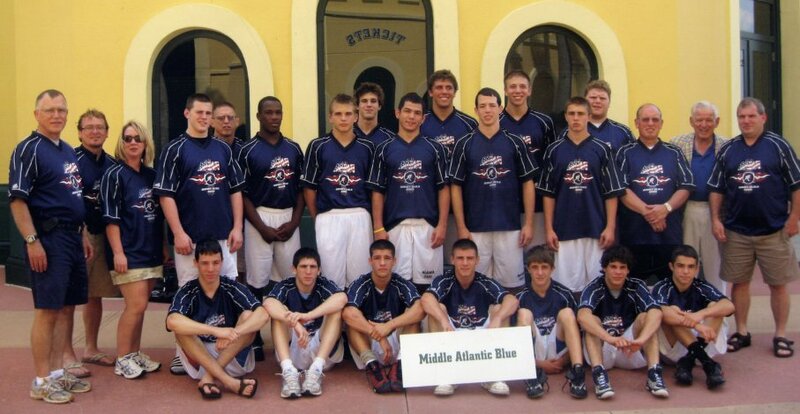 Middle Row (L to R): Coach Arthur Dudkiewicz, Norristown, PA; 120-Cameron Robinson, Council Rock North HS; 132-Michael Kistler, Northampton HS; 132-Cary Palmer, Council Rock South HS; 138-Riley Palmer, Council Rock South HS; 138-Dante Immediato, Middletown, DE HS; 152-Michael Blakemore. Methacton HS; 152-Colin Cronin, Upper Darby HS. 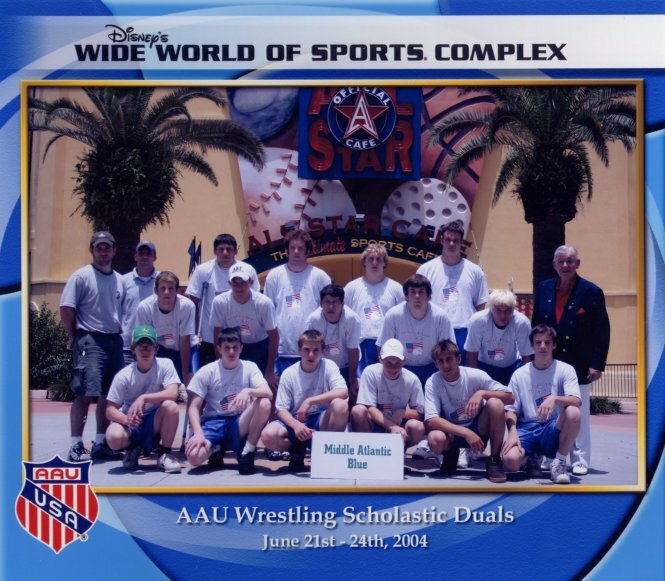 Back Row (L to R): Coach Tom Weikel, Hanover, PA; 160-Bryce Reddington, Methacton HS; 160-Anthony Yacovetti, Upper Merion HS; 170-Joshua Stillings, Pennridge HS; 182-Ben Root, Solanco HS; 195-Joey Doyle, Council Rock South HS; 220-Skylar McLeod, Pottsgrove HS; 285-Vincenzo Pelusi, LaSalle College HS; Head Coach Steve Harner, Norristown, PA.
Front Row (L to R) Mike Smith, MAWA President, Newport, PA; 106lbs-Matt Parker, Pennridge HS; 113lbs-Jacob Wasser, Palisades HS; 113lbs-R.J. Driscoll, Lake Lehman HS; 120lbs-Matt Sparks, National Park, NJ; 126lbs-Bryce Reddington, Methacton HS; 126lbs-Josh Stillings, Pennridge HS; 132lbs-Dylan Chatterton, Central York HS; 138lbs-Dylan Henry, Methacton HS; 145lbs-Jimmy Saylor, Easton HS; Norm Palovcsik, Head Coach, State College, PA.
Back Row (L to R) Ed Ladamus, Assistant Coach, Dallas, PA; 152lbs-Cade Moisey, Northampton HS; 160lbs-Kyle Gentile, Pennridge HS; 170lbs-Derek Dragon, Lake Lehman HS; 182lbs-Austin Holmstrom, Woodbury Heights, NJ; 182lbs-AJ Cutrufello, Episcopal Academy; 195lbs-Gage Heller, Milton HS, 220lbs-Michael Catalano, Easton HS; 285lbs-Saul Wilkins, IV, Wilkes-Barre GAR HS; Wade Winemiller, Administrative Assistant, Shrewsbury, PA.
Front Row (R to L) Mike Smith, MAWA President, Newport, PA; 106lbs-Dan Moran, Northampton HS; 113lbs-Jake Riegel, Bethlehem Catholic HS; 120lbs-Scott Parker, Pennridge HS; 126lbs-Ryan Pomrinca, Annandale, NJ; 126lbs-Todd Lane, Southern Columbia HS; 132lbs-Kent Lane, Southern Columbia HS; 138lbs-Evan Fidelibus, Easton HS; 145lbs-Tyler Shafer, Hanover HS, Paul Edwards, Head Coach, Quakertown, PA.
Middle Row (R to L) 145lbs-Billy Barnes, Williamson HS; 145lbs-Willie Davis, Bridgeville, DE; 152lbs-Michael Comunale, Pius X HS; 152lbs-Paul Dunn, Bethel Park HS; 160lbs-Bobby Fehr, Northampton HS; 182lbs-Kellan Stout, Mt. 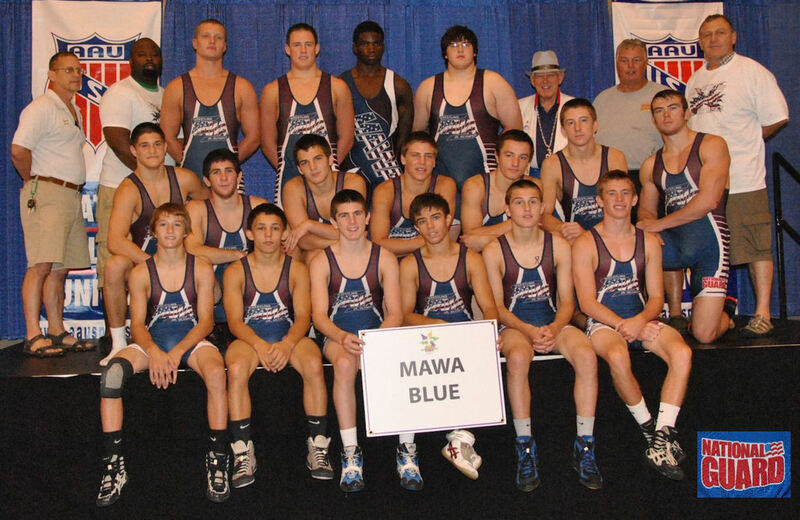 Lebanon HS; 170lbs-Rushon Lusane, Norristown, PA; Jack Davis, Assistant Coach, Harveys Lake, PA; Tom Weikel, Administrative Assistant, Hanover, PA.
Back Row (R to L) Don Book, Assistant Coach, Sugarloaf, PA; 285lbs-Tracey Green, Methacton HS; 220lbs-Andrew Dunn, Bethlehem Catholic HS, 195lbs-Garrett Wesneski, Canton HS. 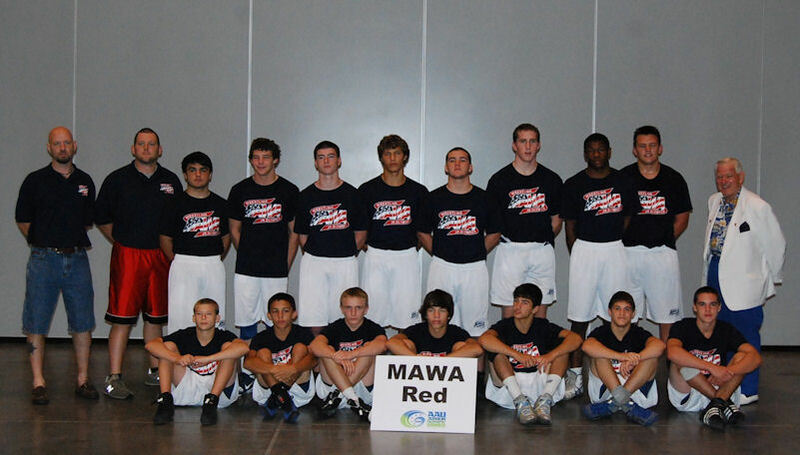 (Final) MAWA 28 Keystone Brawlers Elite 18. 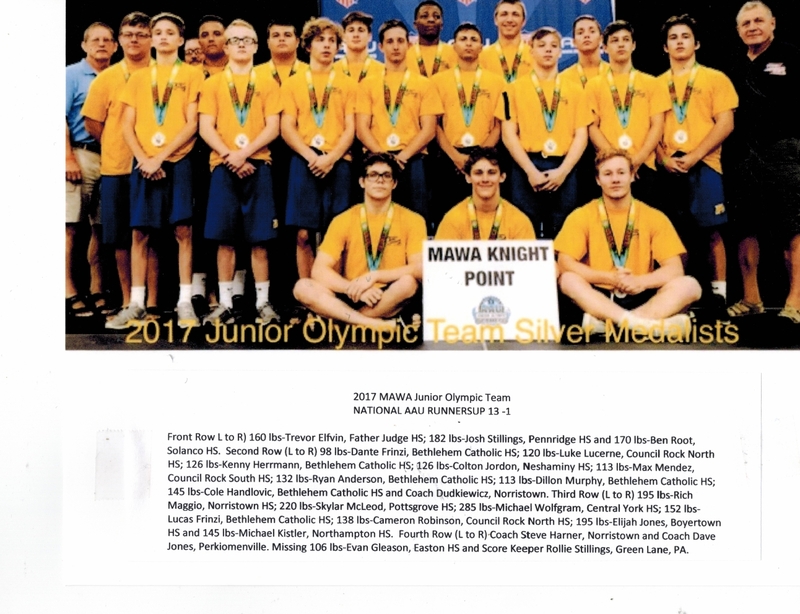 Individual Results - Billy Rappo* - Silver, Evan Botwin - Bronze, Devon Lotito - Bronze, Justin Staudenmayer - Copper, Matt Cimato* - Gold, Evan Henderson* - Gold & Outstanding Wrestler, Robert Henderson - Bronze, Bret Harner - Bronze, John M. Staudenmayer* - Gold, Austin Coniker - Bronze, Mike Mirra - Bronze, Joe Stolfi - Bronze, Terrance Jean-Jacques - Bronze, Larry Gordon - Bronze, Jarred Lux - Bronze. Front Row(L to R) 98lbs. Zack Fuentes, Norristown; 103 lbs. Billy Rappo, Council Rock South; 112 lbs. Corey McQuiston, West Chester Ruston; 119 lbs. Colin Henry, Great Valley; 125 lbs. Bobby Meyers, Radnor; 130 lbs. Mike Mathis, Central Bucks South; 130 lbs. Justin Staudenmayer, Plymouth-Whitemarsh; and 135 lbs. Matt Rappo, Council Rock South. Back Row(L to R) Assistant Coach, Paul Mathis, Doylestown; Head Coach, Steve Harner, Norristown; 140 lbs. Matt Cimato, LaSalle; 145 lbs. Brett Harner, Norristown; 152 lbs. Brandon Parker, Norristown; 160 lbs. Robert Scheivert, Chichester; 171 lbs. John Staudenmayer, Plymouth-Whitemarsh; 189 lbs. Nick Becattini, Conestoga; 215 lbs. Matt Jorgensen, Quakertown; 285 lbs. Daven Dewan Springfield Delco; Assistant Coach, Jim Swiggard, Harleysville; MAWA President, Mike Smith, Newport; and MAWA Secretary, Norm Palovcsik, Lock Haven. 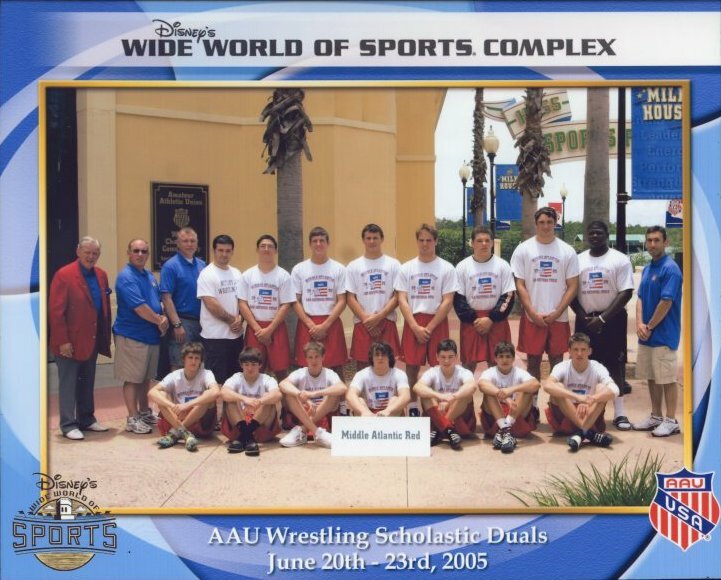 Front Row(L to R) 98lbs. Chad Saunders, Hill School; 103 lbs. Anthony Siwak, North Catholic; 112 lbs. Trey Balasco, Council Rock South; 119 lbs. Pete Fratantoni, Owen J. Roberts; 125 lbs. Vince Barberi, Monsieur Bonner; 130 lbs. John Dutrow, Council Rock North; and 135 lbs. Mike Springer, Norristown. Back Row(L to R) Head Coach, Kurt Paroly, Langehorne; Assistant Coach, Jason Sabol, Camden, NJ; 140 lbs. Pat Fennell, Wissahickon; 140 lbs. Ryan Ginsburg, Upper Merion; 145 lbs. Colin Sauders, Hill School; 152 lbs. 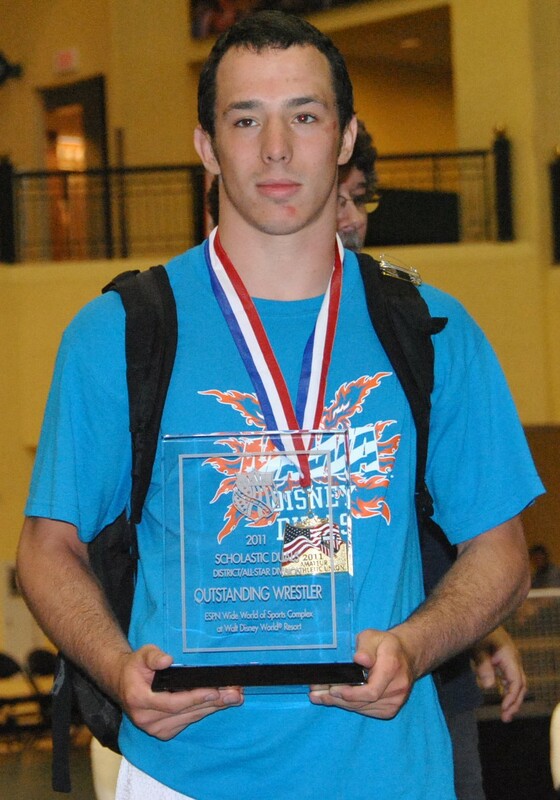 Jordan Moser, Owen J. Roberts; 171 lbs. Shane Springer, LaSalle, 189 lbs. Brian Curless, Great Valley, 189 lbs. Larry Gordan, Norristown; 285 lbs. 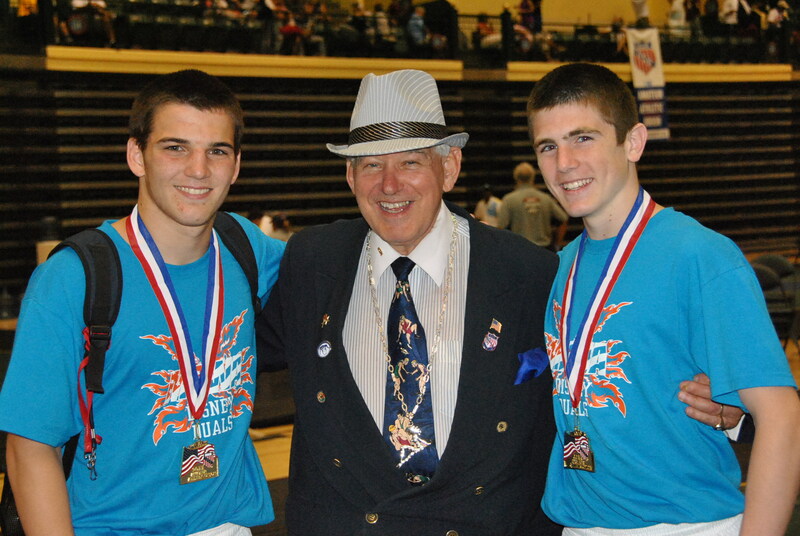 Brendan Walsh, Garnet Valley; and MAWA President, Mike Smith, Newport. 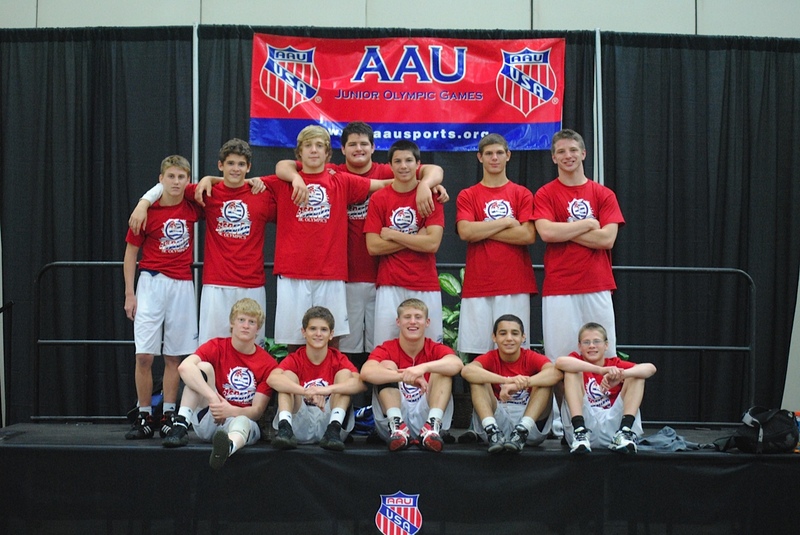 First Row (Left to Right) 103 lbs. - Nicholas Roberts, North Star; 112 lbs. - Devon Lotito, Bethlehem Liberty; 119 lbs. Alt. - Justin Staudenmayer, Plymouth-Whitemarsh; 125 lbs. Alt. - Ben Hartshorn, Conestoga; 119 lbs. - Scott Wolfinger, Quakertown; 125 lbs. - Matthew Rappo, Council Rock South; 112 lbs. Alt. - Trey Balasco, Council Rock South; 130 lbs. - Joseph Spisak, Boiling Springs; 135 lbs. Alt. - Gregory Bacci, Conestoga; 135 lbs. - Matthew Cimato, LaSalle and 140 lbs. - Evan Henderson, Kiski Prep. 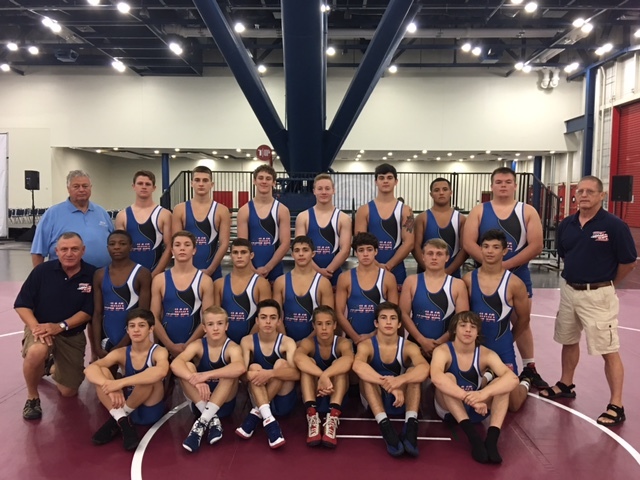 Back Row (Left to Right) Steve Harner, Head Coach, Norristown; Kurt Grabfelter, Assistant Coach, Clarks Summit; Tyler Edwards, Manager, Quakertown; 145 lbs. - Robert Henderson, Kiski Prep; 152 lbs. - Shane Springer, LaSalle; 160 lbs. - John Michael Staudenmayer, Plymouth-Whitemarsh; 171 lbs. Alt. - Dillon Franco, Campbell, NY; 171 lbs. - Robert Fitzgerald, Downingtown East; 189 lbs. - Mike Mirra, Crestwood; 215 lbs. - Joe Stolfi, Souderton; 285 lbs. 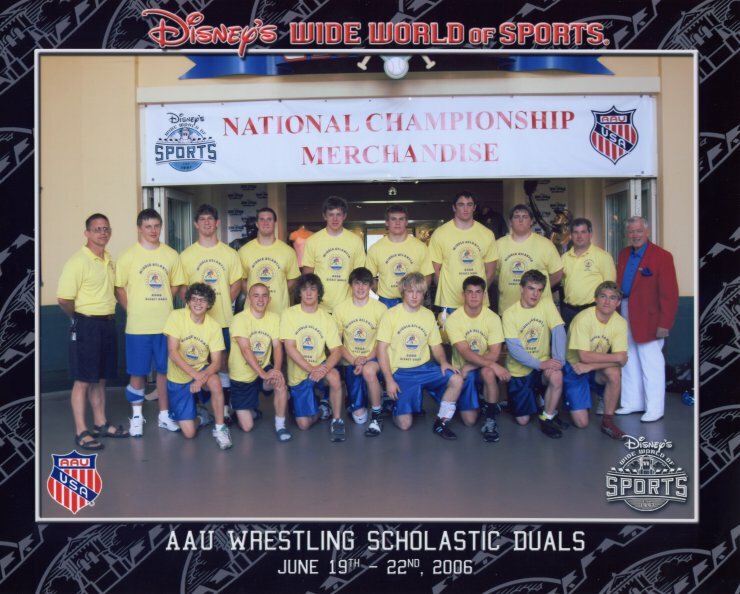 - Terrance Jean-Jacques, Wyoming Seminary; Paul Edwards, Assistant Coach, Quakertown; Wade Winemiller, Administrative Assistant, Shrewsbury; Mike Smith, MAWA President, Newport and Nicholas Hetrick, Manager, Newport. First Row (Right to Left) 103lbs. - Dominick Malone, Wyoming Seminary; 112lbs. - Anthony Marino, Bethlehem Liberty; 112lbs. - Josh Polacek, Westmont Hilltop; 119lbs. - Tyler Rauenzahn, Blue Mountain; 125lbs. - Pat Owens, Germantown Academy; 125lbs. - Matt Rappo, Council Rock South; 130lbs. - Evan Henderson, Kiski Prep. 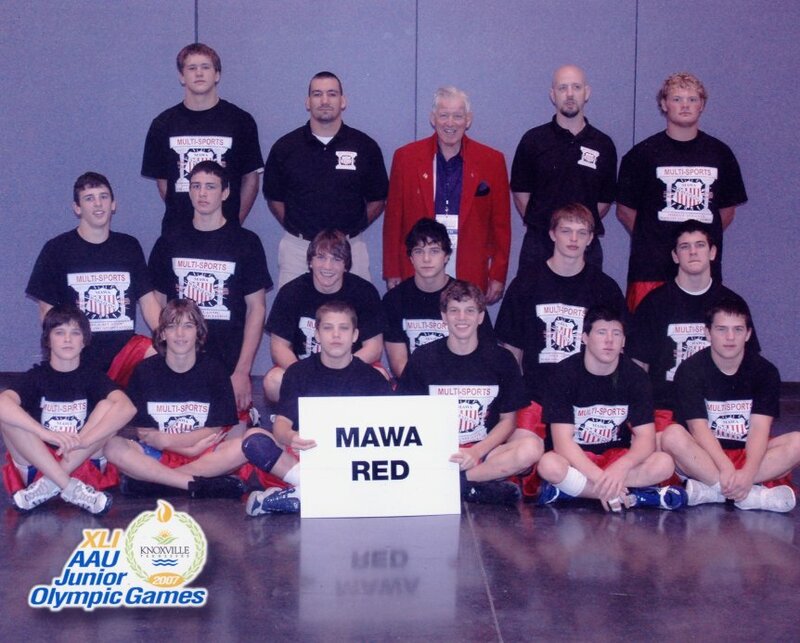 Back Row (Right to Left) Paul Edwards, Assistant Coach; Mike Smith, MAWA President; Norm Palovcsik, Team Leader; 285lbs. - Evan Craig, Abington Heights; 135lbs. - Tim Santry, Upper Moreland; 189lbs. - Jamie Callender, Council Rock North; 140lbs. - Robert Henderson, United; 215lbs. - Zac Bennett, Westmont Hilltop; 145lbs. 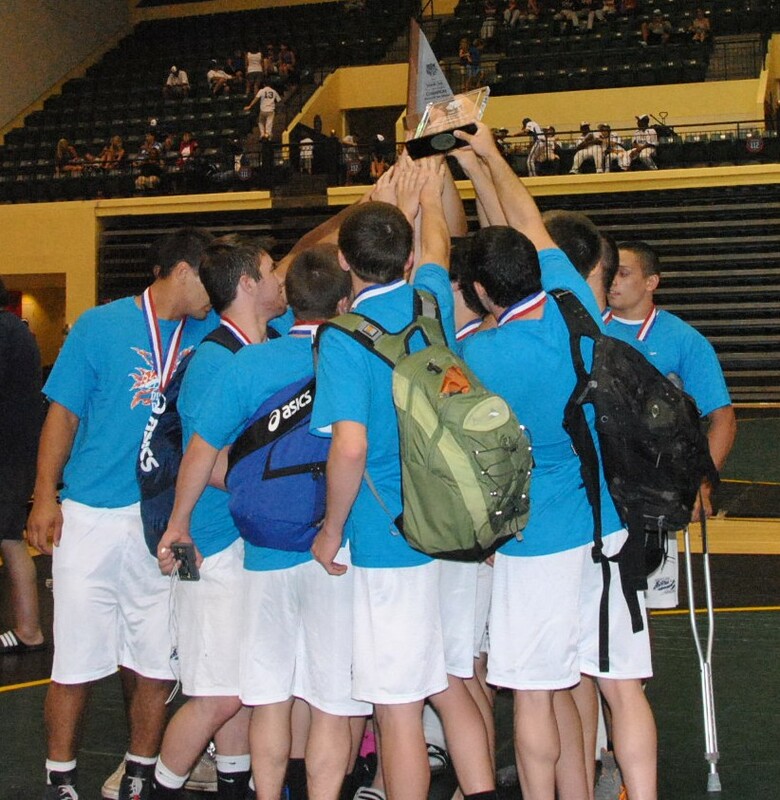 - Justin Martinez, Wyoming Seminary; 171lbs. - Ryan Callahan, Wallkill Valley,NJ; 152lbs. - Eric Hess, Benton; 160lbs. - Lewendo Teague, Sharon; Steve Harner, Head Coach; 160 lbs. - Bobby Lavelle, Council Rock South; Linda Moore, Administrative Assistant; Ty Moore, Assistant Coach; Kurt Grabfelder, Assistant Coach. 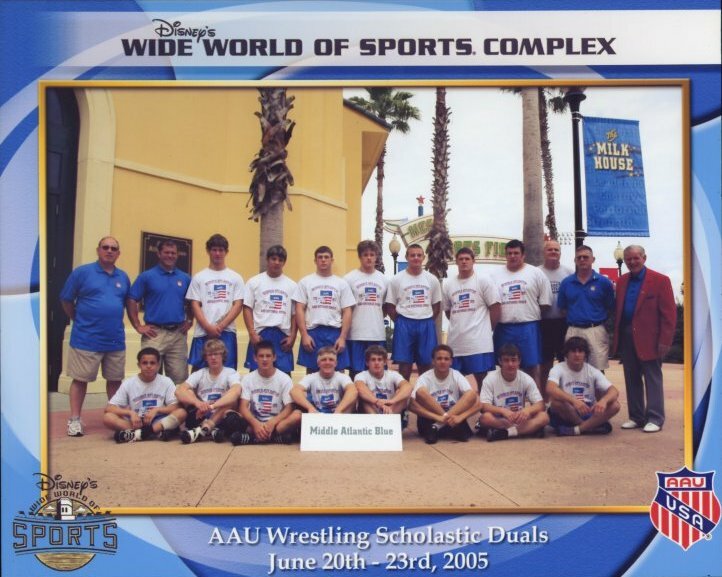 Front Row (L to R) 98 lbs – Ben Sherman; 103 lbs – Matt Cimato; 112 lbs – David Irwin; 119 lbs – Frank Cimato; 125 lbs – Dyle Liberato and 130 lbs – Steve Armor. 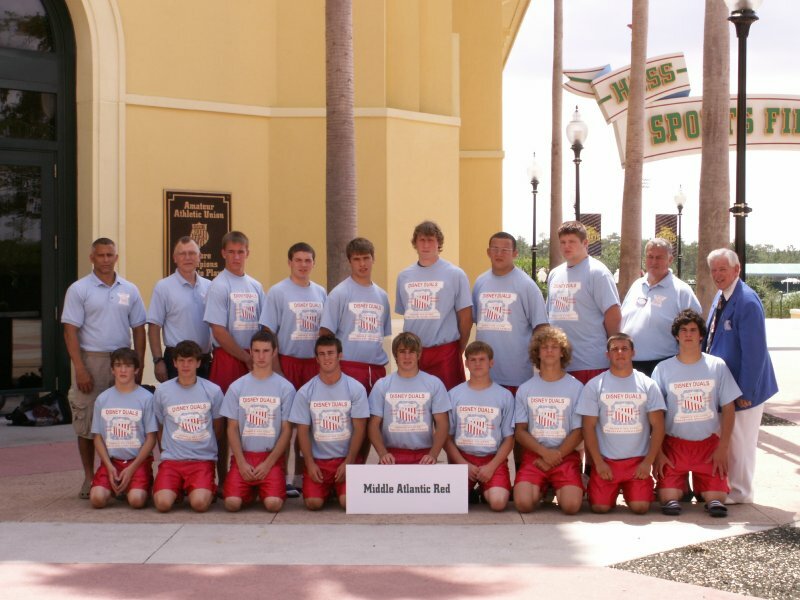 Second Row (L to R) 135 lbs – Will Resnick; 140 lbs – Jimmy Resnick; 145 lbs – Steve Resnick; 152 lbs – Colin McConnell; 160 lbs – Kyle Deeds and 171 lbs – Andre Petroski. 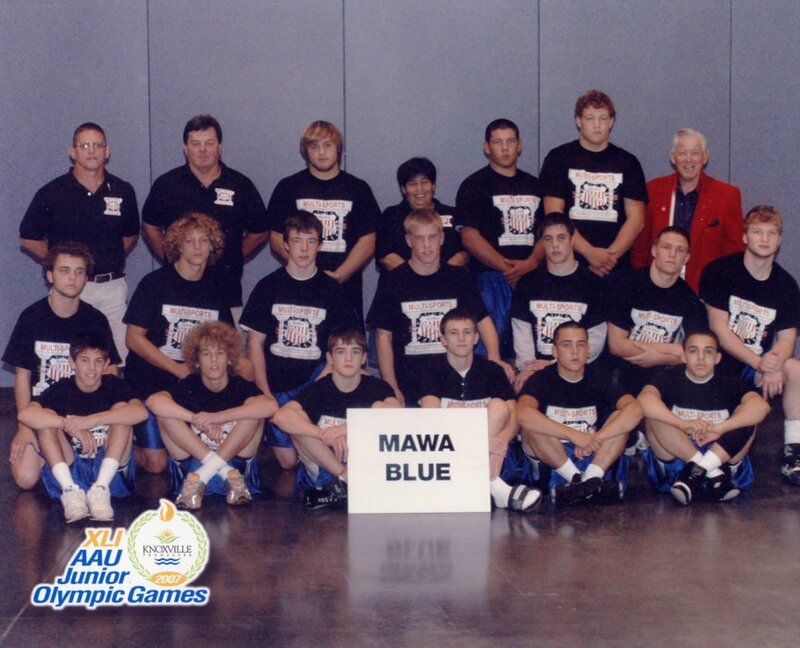 Back Row (L to R) 189 lbs – Nick Ruggear; Rob Weneck, Assistant Coach; Mike Smith, MAWA President; Kurt Paroly, Head Coach and 215 lbs – Brian Keyser. 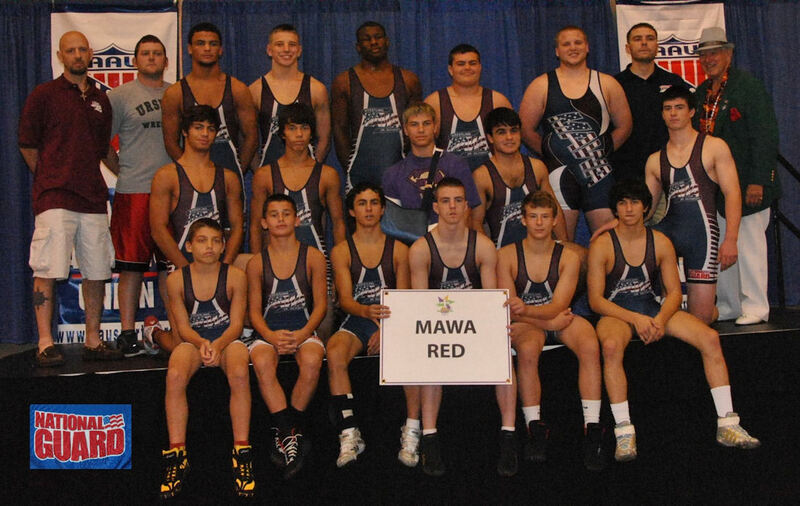 MIDDLE ATLANTIC RED Front Row (L. to R.) A. J. Schopp – 103 lbs. ; Frank Cimato – 112 lbs. ; Brian Levandowski – 119 lbs. ; Jack Chidester – 125 lbs. ; Adam Will – 130 lbs. ; Anthony Romano – 135 lbs. ; Bernie Crandley – 140 lbs. ; Jonathan Hammond – 145 lbs. and Michael Harvey – 152 lbs. 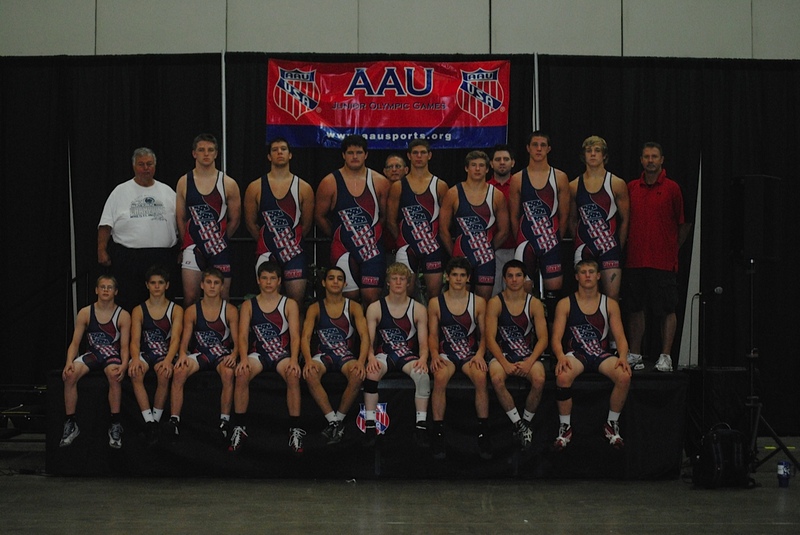 Back row (L. to R.) Mike Nauman – Head Coach; Kurt Grabfelder, Assistant Coach; Nicholas Venditti – 160 lbs. ; Adam Harold – 171 lbs. ; Chad Brunicki – 189 lbs. ; Bo Reifer – 189 lbs. ; Chris Wilson – 215 lbs. ; Mike Horton – 285 lbs. 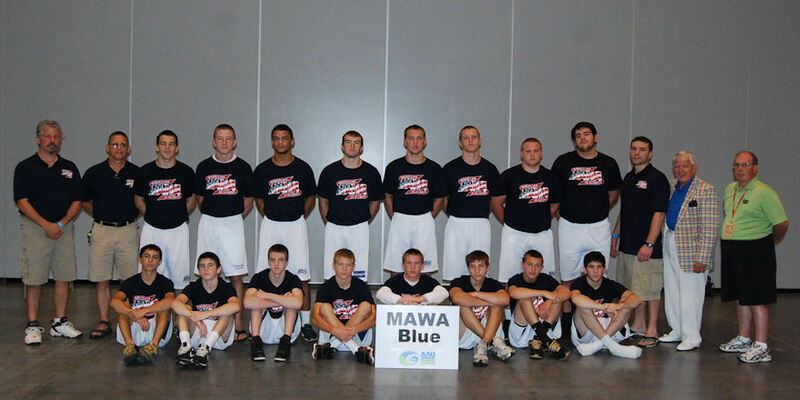 ; Tom Weikel – Administrative Assistant and Mike Smith – MAWA president. Front Row (L. to R.): 103 lbs. – Frank Cimato; 112 lbs. – Connor McDonald; 119 lbs. – Troy Dolan; 125 lbs. – Scott Clymer; 130 lbs. – Mike Robinson; 135 lbs. – Dale Fava; 140 lbs. – Daryl Cocozzo and 145 lbs. – Cory Bleaken. 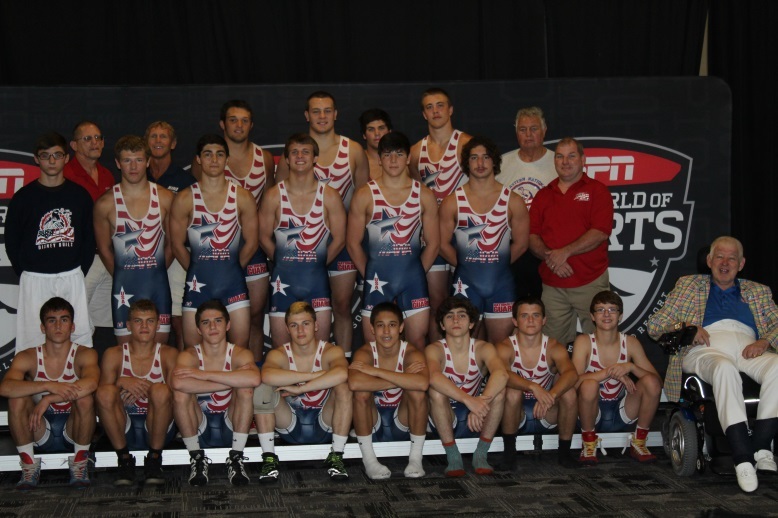 Back Row (L. to R.): Steve Harner, Head Coach; 152 lbs. – Tim Darling; 160 lbs. – Andy Rendos; 171 lbs. – Chris Henrich; 171 lbs. – Mike Reilly; 189 lbs. – Scott Snyder; 215 lbs. – Alex Silvestro; 275 lbs. 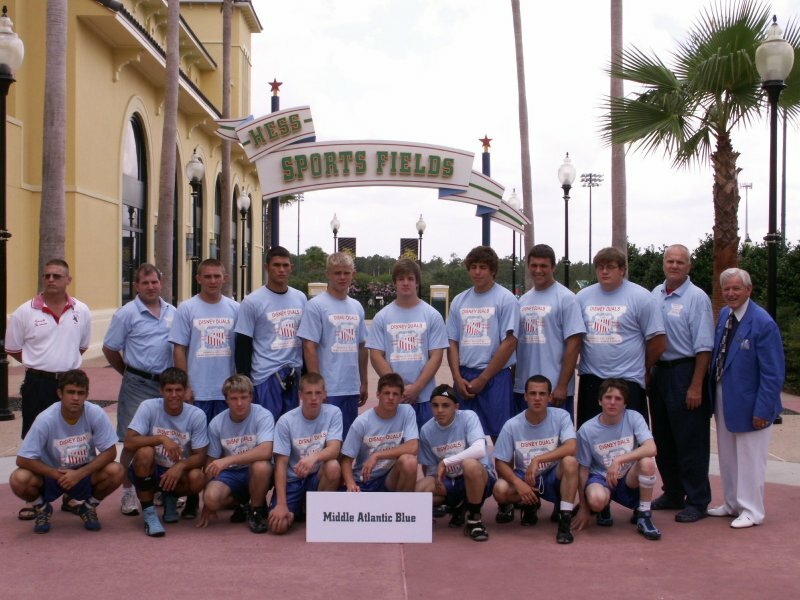 – Derek Mahaffey; Paul Edwards, Assistant Coach and Mike Smith, MAWA President. Front Row (L. to R.): 103 lbs. – Jon Childress; 112 lbs – Jerry DeSanto; 119 lbs. – Jack Chidester; 125 lbs. – Brock Parker; 130 lbs. – James Beshada; 135 lbs – Steve Resnick; 140 lbs. – Steve Bozak and 145 lbs. – Braden Turner. 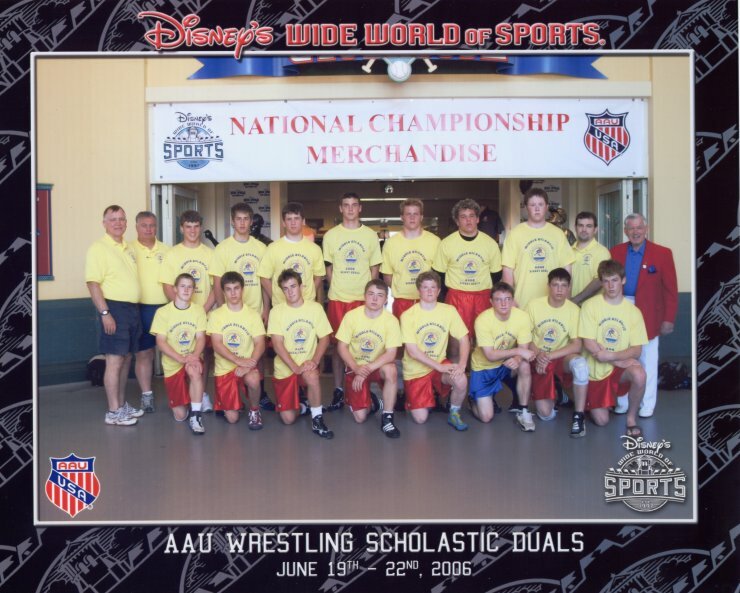 Back Row (L. to R.): Kurt Grabfelder, Assistant Coach; Tom Weikel, Administrative Assistant; 152 lbs. – Ryan Goodman; 152 lbs. – Matt McMillan; 160 lbs. – John Dale; 171 lbs. – Brad Clark; 189 lbs. – Garrett Sukanick; 215 lbs. – Bill Farrell; 275 lbs. 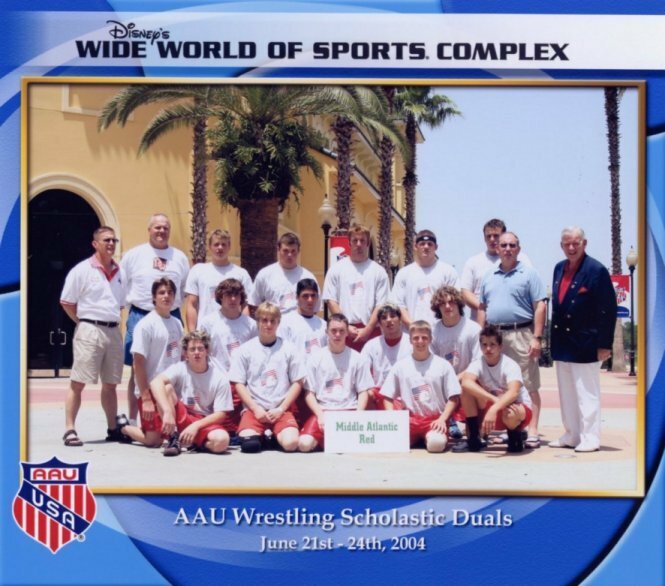 – Andrew Furlong; Biff Walizer, Head Coach and Mike Smith, MAWA President. Front Row: (L to R) 103 lbs. Chad Winowich, 112 lbs. Pat Strizki, 112 lbs. Alt. T. J. Albright, 119 lbs. Troy Dolan, 125 lbs. Luke Miller, 130 lbs. Matt Moley, and 140 lbs. Jim Norley.